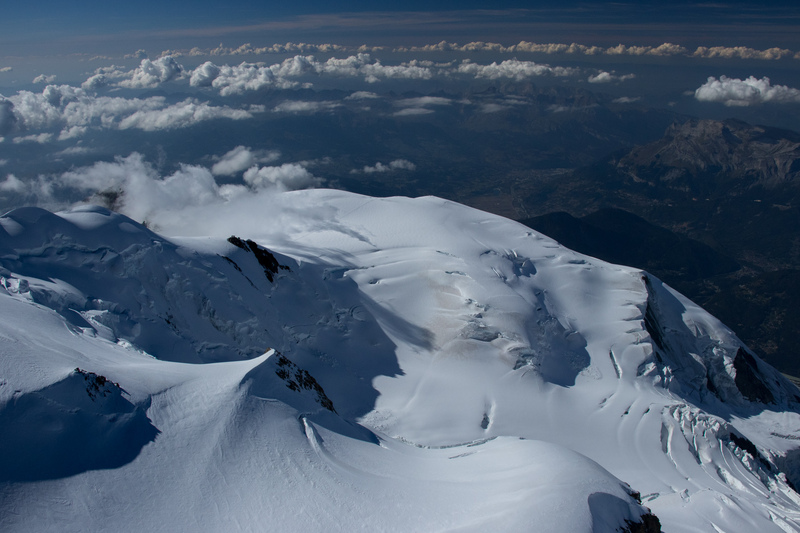 Part of why it took so long to come to the Alps had to do with the expectation that sheer size of the mountains was directly correlated to how dangerous things must be. When I took the flight here from Spain, I expected to get involved with a death-dealing ordeal pushing the limits of me and the airplane. 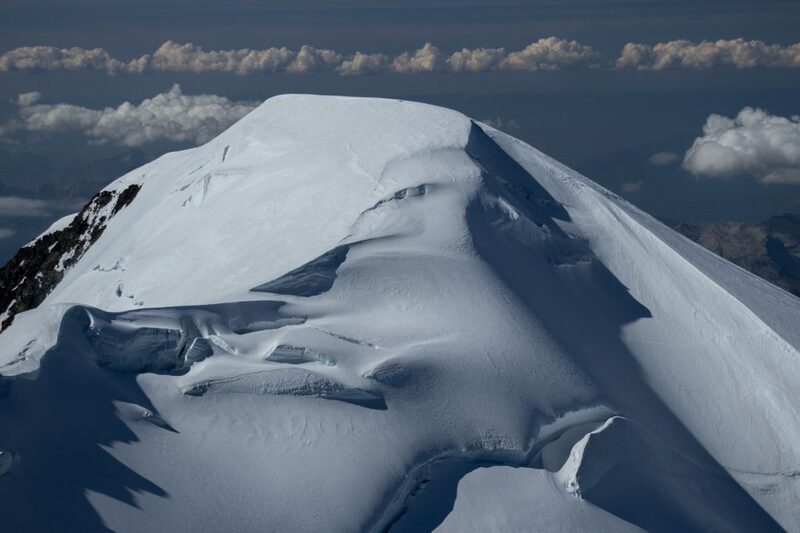 It has turned out that instead of being a thing of brutality, it appears that it is the culmination of years of mountain flying, as it has all gone off without a hitch, and has not been as dangerous as I thought. I set out to attack a specific goal, which I can happily state that I recently achieved: photographing all 82 peaks over 4000m (13,123’) in the Alps. Similar to my flying bender last summer going at it 83 days in a row, and the 65-hour flying month of September 2015, it has been two months of razor-sharp focus on the high peaks, which meant that I only went flying if I could fly at those altitudes. While it turned out to not be death-defying during every flight, it was a project consisting of a tremendous amount of effort. Spread from France, to Italy, and almost to the border of Austria, these peaks take about an hour of climbing to get to altitude, leaving 2 hours before I need to be back on the ground. Therefore, flying has been in 3-hour full-tank increments and has also taken me a number of places. With the focus of my project done, I have also had the chance to fly for the sheer fun of it, which has meant visiting some more interesting places. 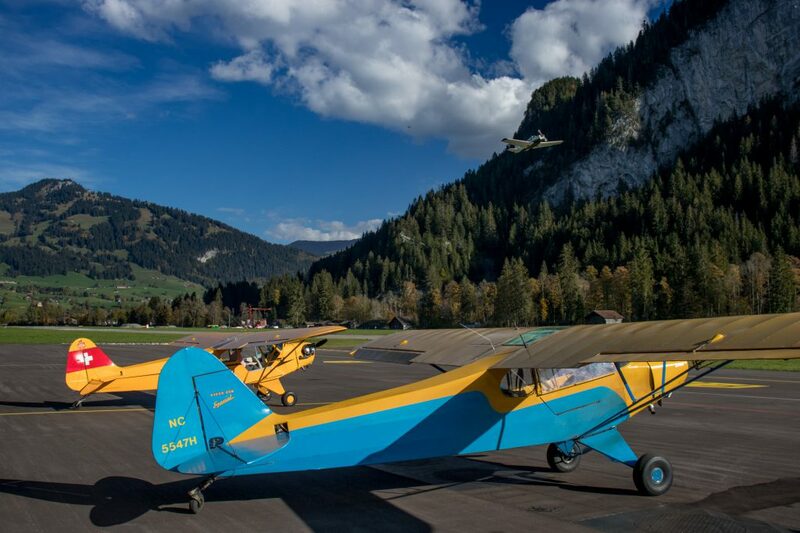 Switzerland flows pretty smoothly when it comes to aviating. Dare I say it, the “system” here runs fairly close to American aviation, albeit at about three to four times the price. I get my dose of American flying in Spain by simply checking out of the system and doing things the backcountry way, which is both a joy and tiring. Here, it’s a nice mix, as the Swiss restrict airspace near congested areas, leaving the mountains for fun. In visiting other airports, it has been quite interesting to partake of Swiss traffic patterns. Instead of a standard box pattern, most that I have come across are custom, taking terrain into account. The size of some of the terrain here, wedged inside a traffic pattern, is quite a treat. Even in a Cub, I feel a sense of nervousness, with trees whizzing by one wing, and the runway wedged down below on the other. I couldn’t imagine doing some of these things in a fast aircraft. The Swiss adventure isn’t quite over yet. 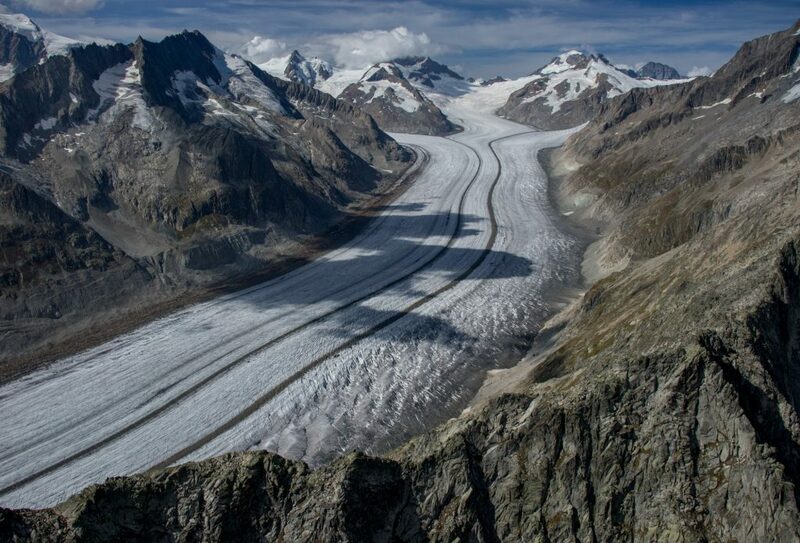 Aletschgletscher, the largest glacier in Europe. It is 14 miles long and is almost 3,000′ deep at some of the upper points. 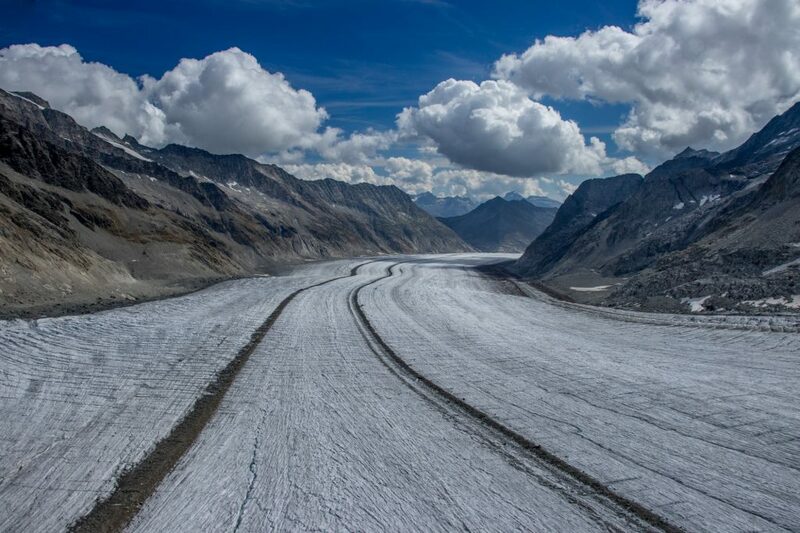 Roughly 1,000′ above the Aletschgletscher, looking downhill. 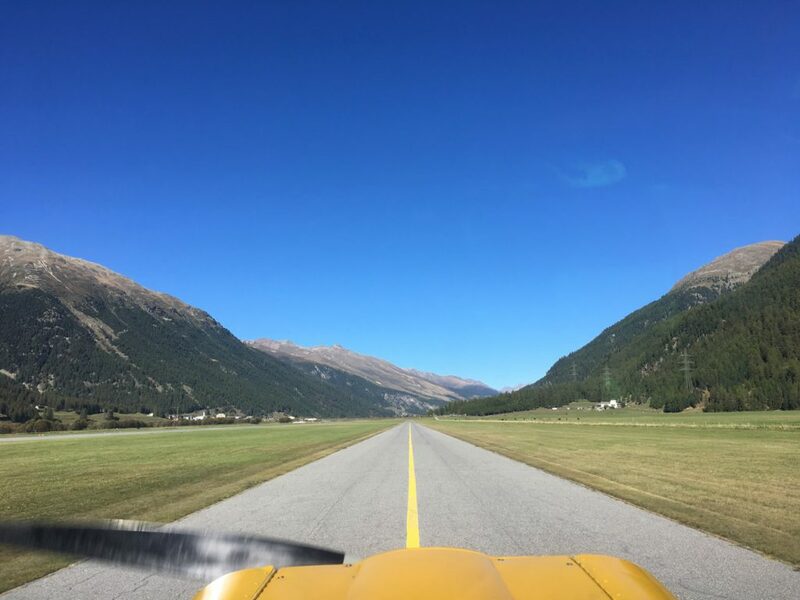 Left-hand downwind for Samedan, Switzerland, airport. 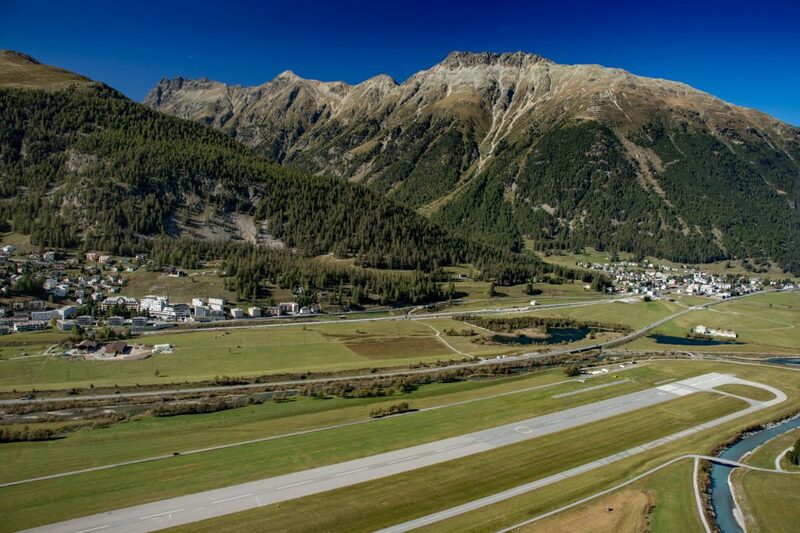 At 5,600′ elevation, it is advertised as “Europe’s highest airport,” though the designation may be dubious. Landing here required the completion of an online course and requires carriage of the certificate. The natural order of things has been restored. I have achieved getting above Mt. Blanc, France (15,774′), the highest peak in the Alps. Previously, I could only get close and the Cub just couldn’t do the rest due to unfavorable winds. North slope of Mt. Blanc. This kind of thing puts a smile on my face. Forbidden fruit of Courchevel, France. 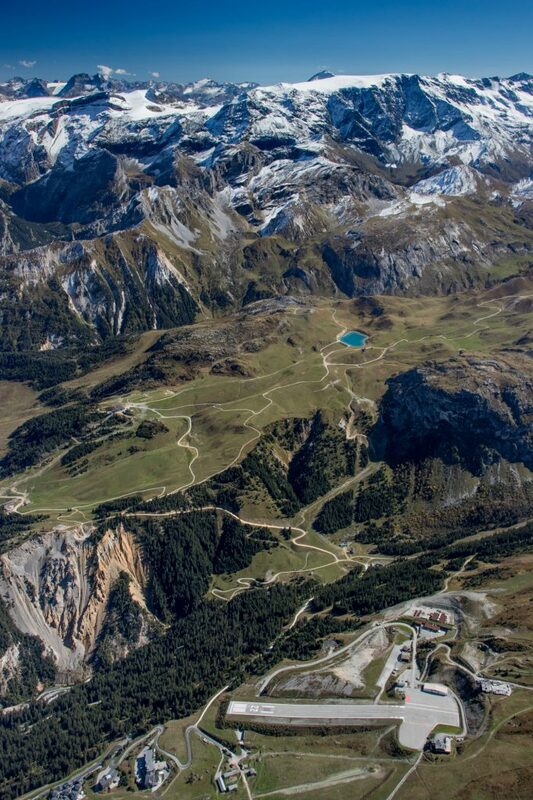 Located at 6,587′, at a length of 1,761′ and a gradient of 18.6 percent, it is an “altiport” requiring a special signoff. As one can see, it is strictly one way in, and no go around after short final. 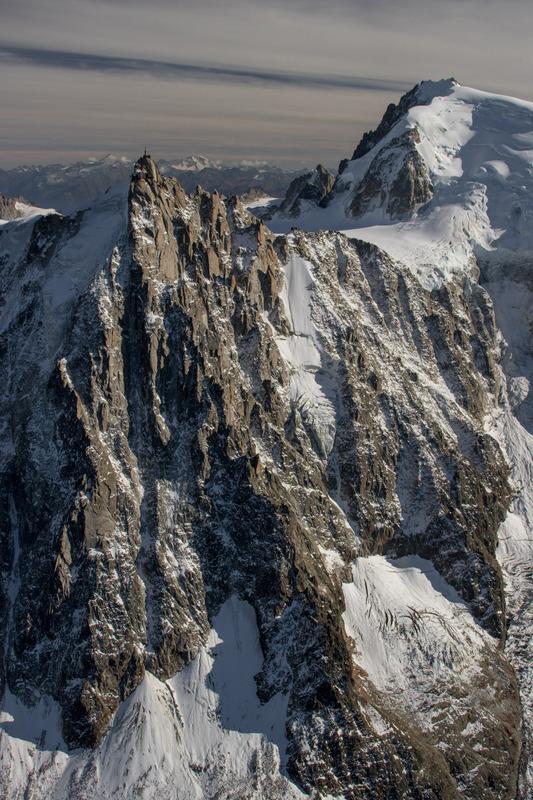 Aiguille du Midi (12,604′ – to the left). It is Europe’s steepest gondola. Yes, you can ride a gondola to the rock with a pointy antenna on it. 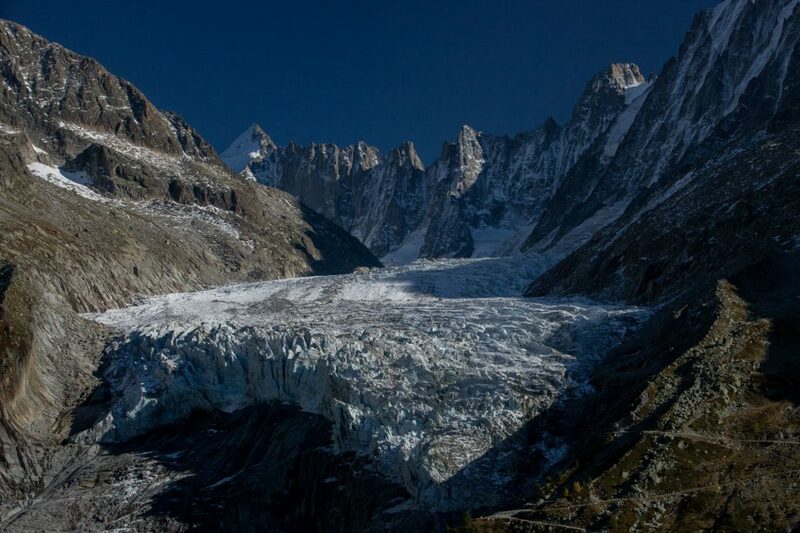 Glacier d’Argentière, France. My first flight near it was from quite far away. This is a better way to see a glacier. Megève, France. Note the short, angled airport to the right. It is truly a field with no go around located at 4,840′ elevation. Mt. Blanc lurks to the left. 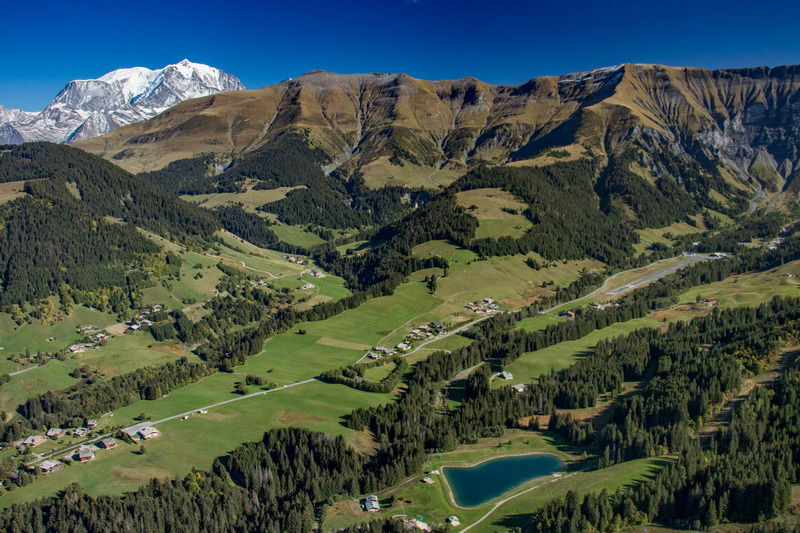 While Gstaad Airport isn’t overly crazy when it comes to landing, it does evoke a certain sense of being one of the most expensive European destinations available. Landing was a tad over $25 and fuel was market price. Left-hand downwind is over the rocks in the back of the image, which tower to incredible heights. In the middle of this project, I have birthed Winds of Change: An Aerial Tour of Rocky Mountain Forests, a tour of forests in their varying conditions in the Intermountain West. It was a pleasant project to put together, taking me back quite immersively into my Wyoming flying days.